Could the Long Island Ice Tea have been invented at Jones Beach? Bill Ober, a former Jones Beach employee and Loving-Long-Island.com reader claims it was. 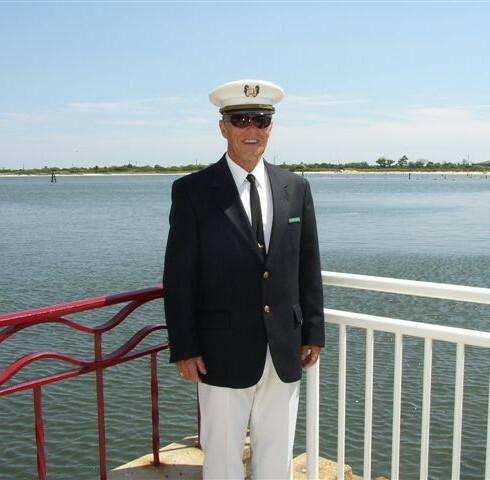 In 1960 I was a foreman at the West bathhouse at Jones Beach. We had thousands of lockers for rent in the lobby of the bath house and there was a room full of keys for each one. 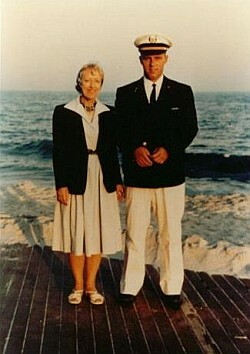 Left: Bill and his mom in their Jones Beach uniforms 45 years ago. The established tradition for seasonal employees was to hold a big party in the key room after the summer season ended. It was one of the rare opportunities for ALL seasonal employees to fraternize. Although the party was planned, the cocktails weren't. We scrounged for ingredients and the lifeguards assisted in providing an oar, garbage bag, and a metal crab can. We just emptied our lockers of whatever we had and stirred the concoction in the big can. After mixing the now famous ingredients we all agreed that it tasted like ice tea. The rest is history. 35 years later I was amazed to see this concoction (now known worldwide as Long Island Ice Tea) on a menu in Brisbane, Australia. I think Bill's story is entirely plausible. I'd love to know exactly what was in that can at Jones Beach and how closely it matches the modern recipe.